Green is the new black at this time of year! Fresh, sweet, spring peas top our list for one of the best vegetables you can get your hands on. 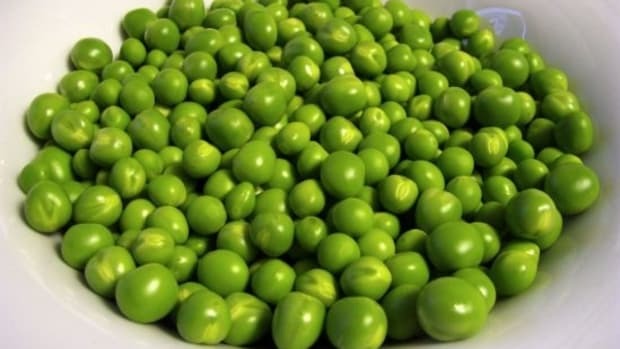 Peas are low in calories and pack a protein punch, but that&apos;s not even the best things about them. 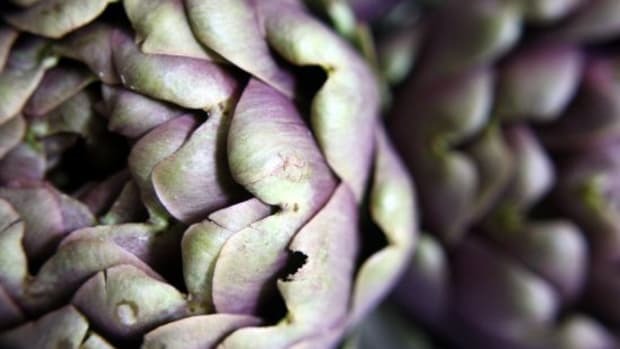 They&apos;re sweet, crunchy, and make a scrumptious ingredient for so many spring specialties. 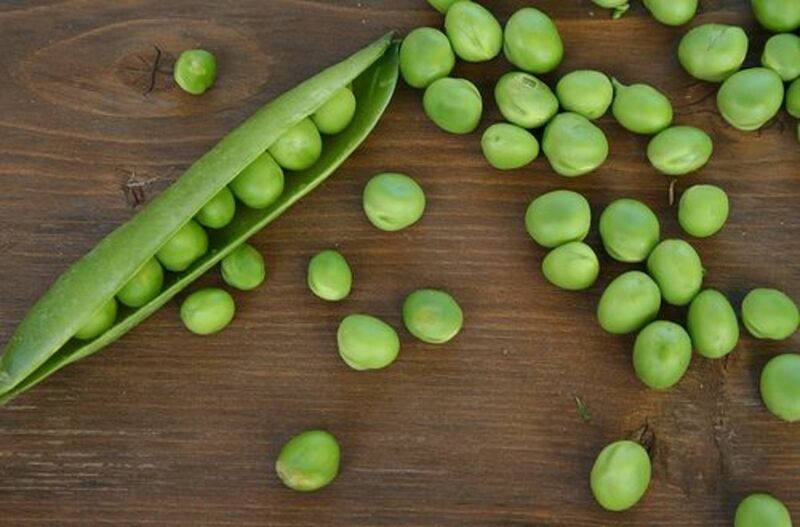 From hummus to a fresh Vernal soup, to snacking on them straight from the fridge, peas are sure to please in many ways. One cup of boiled green peas provides 46 percent of your RDA of vitamin K-1, known for maintaining bone health and helping blood to clot to prevent bleeding. Peas are high in fiber and low in fat and contain no cholesterol. Plus, they&apos;re a good source of vegetable protein. The recipe, courtesy of Grab a Plate, is as easy as they come! 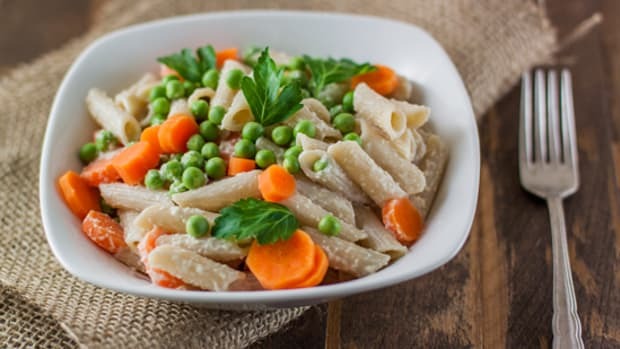 Whole-wheat pasta, peas, lemon-infused olive oil and ricotta cheese are the main ingredients to this light, yet filling, dish. The peas and lemon flavor give the meal a fresh, springtime taste and the amount of ricotta cheese is just enough to keep it from turning into a heavy, why-did-I-eat-that, creamy dish. This recipe is perfect to make when you’re hungry for dinner, but don’t have a lot of time. 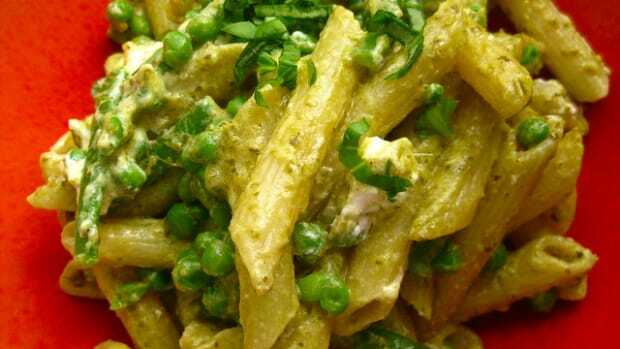 It’s a nice change to make pesto with a variety of vegetables aside from basil. One option is to use peas. This recipe, courtesy of SheKnows, adds the finished pea (and a bit of spinach) pesto as a topping to gnocchi. Use it however you would use traditional pesto. Over fish is a nice option, too. Cook peas in boiling water for 3 minutes, or until heated through; drain well. Heat 1 tablespoon olive oil in a medium skillet over medium-high heat; add peas and garlic and sauté for about 2 minutes. Place peas, garlic, spinach, basil, sunflower seeds, and cheese in food processor and pulse until coarse; add 2 to 3 tablespoons olive oil and blend until smooth and thick. If you&apos;d like the sauce a little looser, add more oil, 1 tablespoon at a time, until pesto has reached desired consistency. When you think of pea soup, do you typically think of it as a warm, hearty dish to enjoy on a cold winter day? Here is a recipe for pea soup that might change your mind. Perfect for a spring day, Chilled Fresh Pea Soup, courtesy of NPR and T. Susan Chang, provides an option for a vibrant, chilled dish that has warm weather written all over it. Whether you serve this salad warm or cold, it’s delightful. 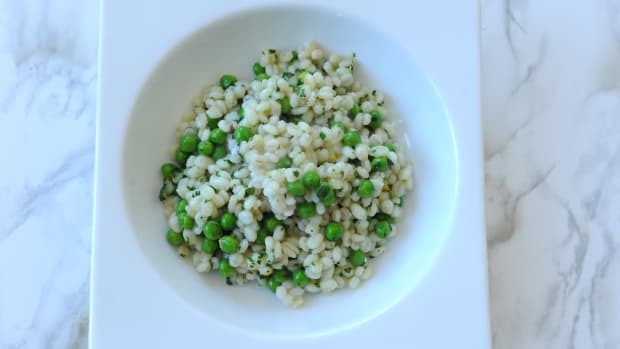 Martha Stewart offers this recipe for Orzo and Snap Pea Salad that actually is a snap to put together. The fresh lemon juice gives this dish a refreshing flavor, and a touch of Parmesan cheese is all you need for that extra-special something. 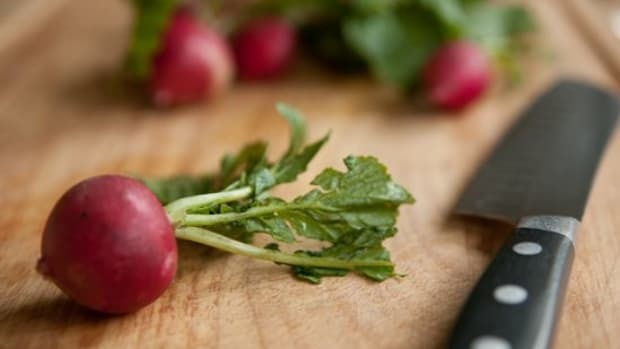 This recipe from Whole Living makes a tasty meal, combining two great veggies – Swiss chard and peas – with the flavors or garlic and ginger. The quick stir-frying method keeps things moving for a quick meal! 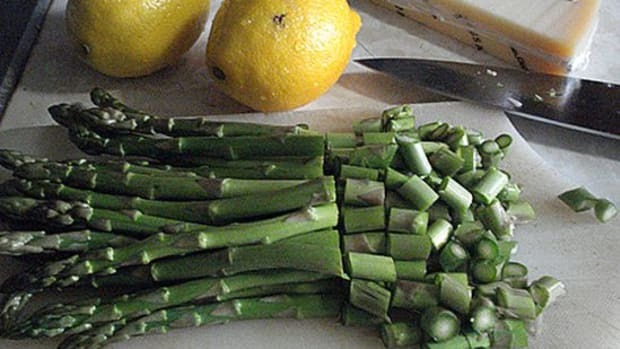 Serve with rice or noodles for a complete meal. Maybe you’ve had apple or corn fritters, but the BBC has a recipe for fritters made with peas and served with roasted cherry tomatoes. These fritters are finished off with a sprinkling of sea salt – delicious.